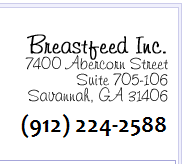 What breastfeeding information is needed prenatally? Today more and more women are choosing to breastfeed their babies because human milk is the perfect food for human infants. It is easy to digest and gives the baby protection from allergies and many infectious diseases. 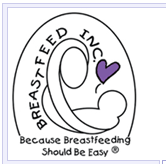 Breastfeeding can satisfy the sucking needs of the baby and help him to develop a sense of trust and security. Among its many advantages, breastfeeding allows the mother to spend quality time getting to know the personality and individual needs of her baby. Also, her health benefits because her uterus returns to its normal size more quickly and the increased calorie requirements needed during breastfeeding help her to lose the extra weight gained during pregnancy. The whole family will find that breastfeeding saves time, money and energy, making it easier for the mother to be active and care for the needs of other family members.